The Spork Sisters, Heather Bell and Jenny Engel, have come up with an easy and delicious way to enjoy vegan sushi! This recipe from their latest vegan cookbook, Vegan 101, hits all the right flavor notes and has the makings of a becoming a staple in your household. 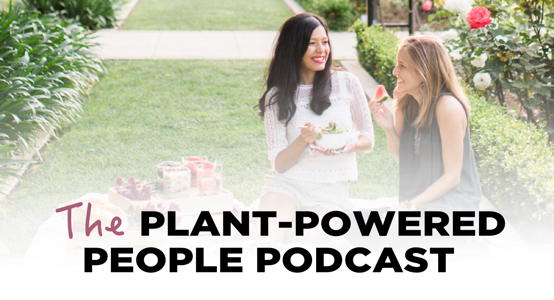 Heather and Jenny are vegan cooking experts who’ve been active on the LA food scene for years. 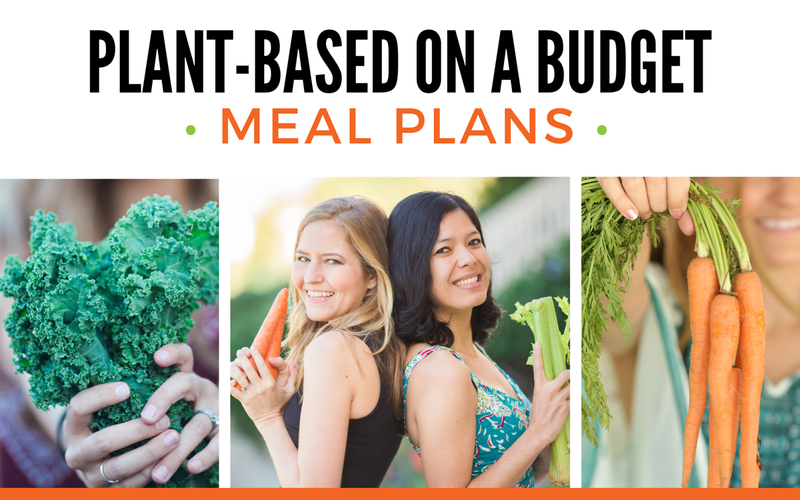 They do it all…from catering services and private chef work, to offering healthy eating consultations and hosting private vegan cooking parties! 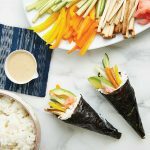 Bring over some friends, get out the sake and have fun making these delicious vegan sushi hand rolls! This hand roll has all the flavors of a veggie sushi roll but takes half the time to prepare. The best part? It’s so much fun forming the sushi—it is edible art, after all. 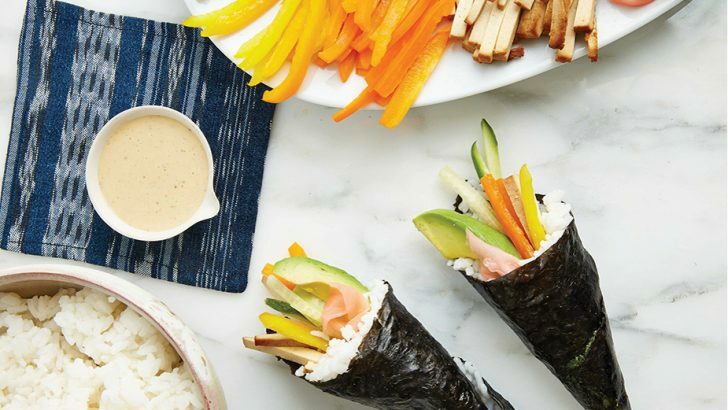 Plus, there are so many different fillings you can add to your hand roll, making it a great addition to an impromptu dinner party. The best-best part is that you get to enjoy it with a glass of your favorite cold Japanese beer or hot sake, depending on the weather. Cook rice according to package directions. When cooked, transfer to a large bowl. With a wooden paddle, incorporate vinegar, sugar, and sea salt into rice until slightly sticky. Set aside to cool. Arrange tofu, avocado, bell pepper, carrot, and cucumber on a plate within easy reach. Place 1 piece nori (shiny-side down) in one hand. With dampened other hand, spread about ¼ cup cooked sushi rice evenly over half the nori in a square. Whisk mayonnaise, tamari, ginger, vinegar, brown rice syrup, sea salt, and pepper in a bowl until uniform. Drizzle sauce over hand rolls and serve with pickled ginger and wasabi. Tip: Don’t overstuff your sushi! It’s a beginner’s mistake to get overzealous and fill your hand roll to the brim. You’ll make it very difficult to seal and eat. Hope you enjoy this scrumptious vegan sushi recipe! Find more recipes by Jenny and Heather through their website Spork Foods, and be sure to check out their new cookbook, Vegan 101. 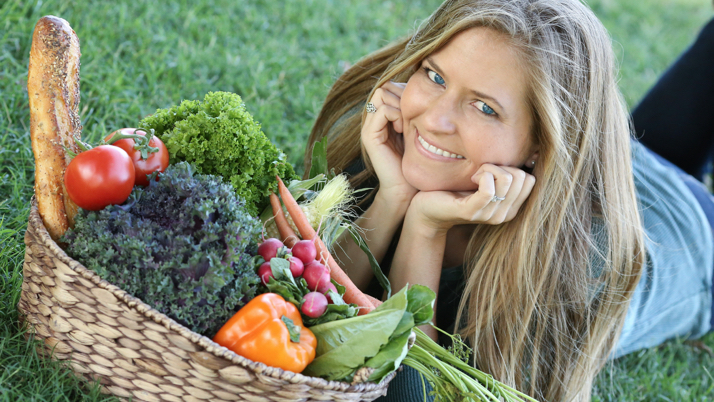 Jenny and Heather are the founders of the Los Angeles based gourmet vegan food company Spork Foods. 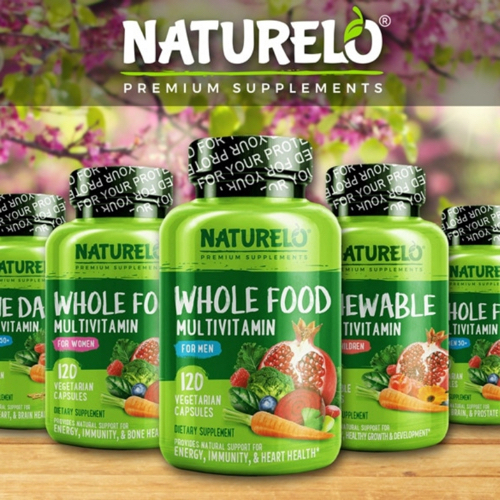 They offer live vegan organic cooking classes and teach all around the world, reaching over 10,000 people a year with their delicious vegan recipes. They are also are published authors of two popular cookbooks: Spork-Fed and Vegan 101. Find them over at SporkFoods.com!